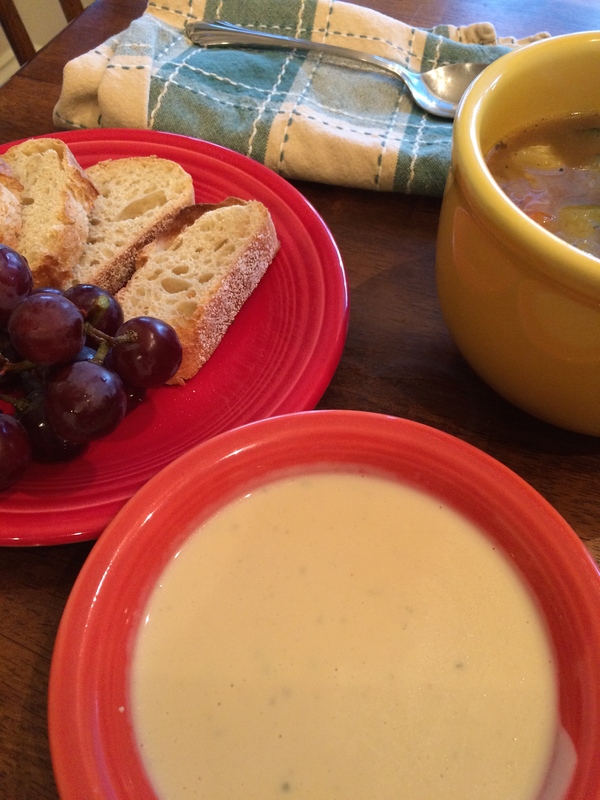 It’s a New Menu Monday… I didn’t Change my basic Chicken Vegetable Soup, but instead of serving it with rolls or garlic bread, I tried a new recipe. 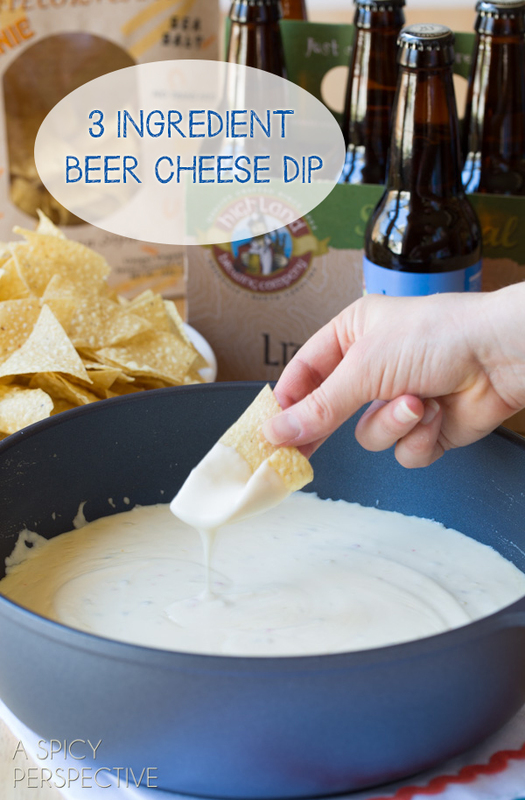 A Beer Cheese Dip, yum! The original recipe is from ASpicyPerspective.com, calling for three ingredients- pepper jack cheese, cream cheese and a 12 ounce bottle of beer. Not difficult to prepare, this was really nice as-is. The only change I made was to use regular jack cheese. I can see why pepper jack is called for (besides the tip off of the blog title containing the word “spicy”)… it needed a little something more. I added two teaspoons each of Worcestershire sauce and dry mustard, both standard cheese dip ingredients. The Girl loved it, but The Boyfriend and I agreed: too beer-y and needs cheddar. The Husband Approved, went for seconds and I don’t think that The Boy touched it. Chicken. This really is a super easy dip. Cream cheese and jack are known for their meltiness, and really make this recipe. I’ll make it again, with pepper jack. And it is always fun to invent new words to describe food. Today’s are “meltiness” and “beer-y.” There will be a quiz at the semester’s end, study your vocab, students!